How is the view for your child's education? Everyone remembers learning about how birds migrate from one place to another, right? Well, here at JECS, we have learned that the lawn flamingo is one of the funnest migratory birds to watch. While we never know where they might migrate to next, we have employed a couple of 'bird trainers' to divulge where the flamingo's next point of refuge will be. For a small donation, they will guarantee the next migratory flock makes it to your selected destination. 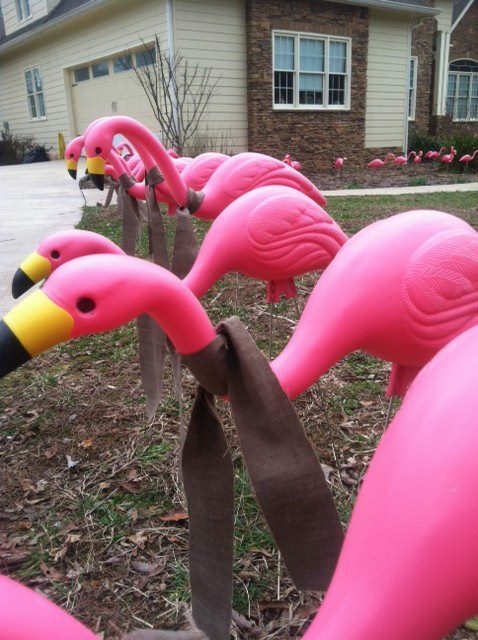 After the Flocking Fee is filed, our 'expert flockers' will fix a flock of migrating lawn flamingos at your favored destination. They will remain there for 3 days before they migrate to their next location. The recipient of the flock can purchase early removal so we can't guarantee they will remain there the entire 72 hour period. If you would like to combine flocks (say you might like two Super Flocks) that can be done as well. There may be some people that are prejudiced toward flamingos and therefore they would not want a flock to migrate to their property. For those odd individuals, "Flock Insurance" is available at a reasonable premium. If you would like to submit your request for a flock of flamingos to visit your friend or family member, please don't hesitate to email us here: You can also download the form here, fill it out and mail it or drop it off at the school office. 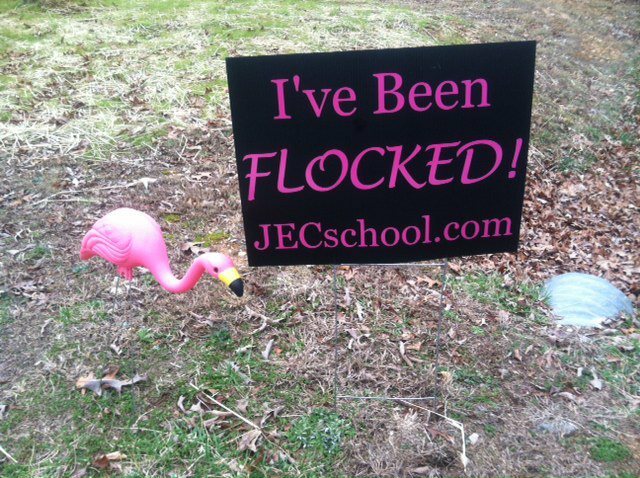 Early Removal: If you get flocked and would like them to migrate to their next location early, you can donate $15 which is what our experts require for their 'flock removal' service. 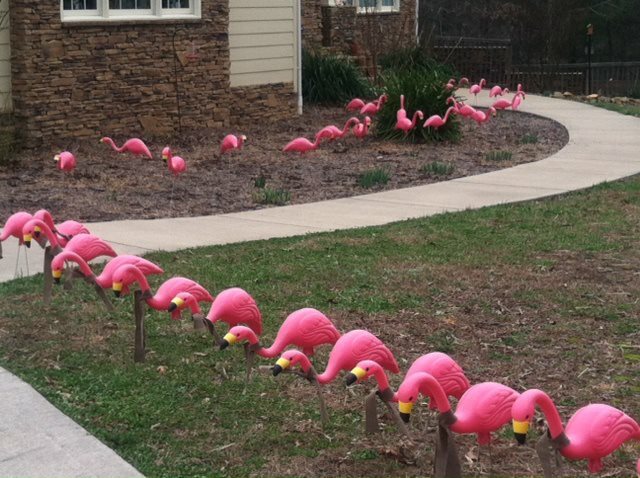 Insurance: For $25 you can protect your property from a flock of flamingos. For this fee, you are guaranteed that no flamingos from the JECS flock will arrive at your location for that season (school year). Email us if you would like insurance. Purpose: The purpose of the fundraiser is to finance technology for our school. Our most urgent desire is to raise enough money to be able to provide tablets for the students to learn with in the coming school year.